If you desire a vintage mid-century modern look, the Alexa Collection is just for you. Create the sophisticated feel of modern, urban living in your home with this two-light flush mount. One-light DC LED Flush Mount series featuring an etched Alabaster glass bowl. Fixtures are dimmable to 10% with Triac or ELV dimmers. 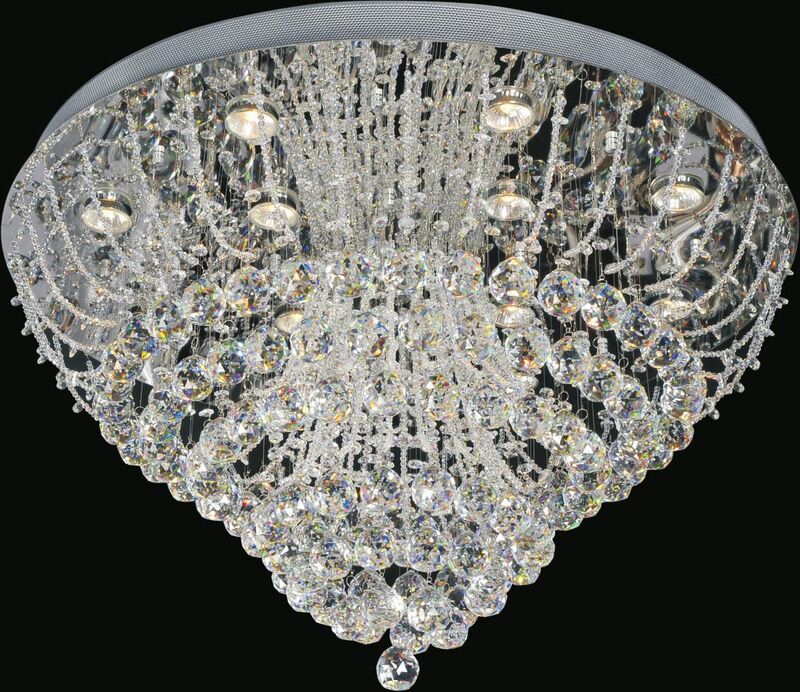 Fountain 32 inch 12 Light Flush Mount with Chrome Finish This breathtaking 12 Light Flush Mount with Chrome Finish is a beautiful piece from our Fountain Collection. With its sophisticated beauty and stunning details, it is sure to add the perfect touch to your dicor.